Looking for customised table tops for your indoor or outdoor table furniture? You have arrived at the right place. Backed by an experience of 15 years, Elite Glass services can provide you with the right product tailored as per your requirements. Ranging from clear glass inserts to smoked glass tops, our options are varied. 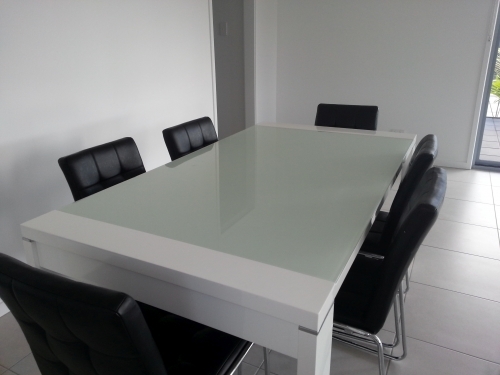 We offer a wide variety of glass table tops for you to choose from. Check out the different types of table tops available in our repertoire and select a suitable one. 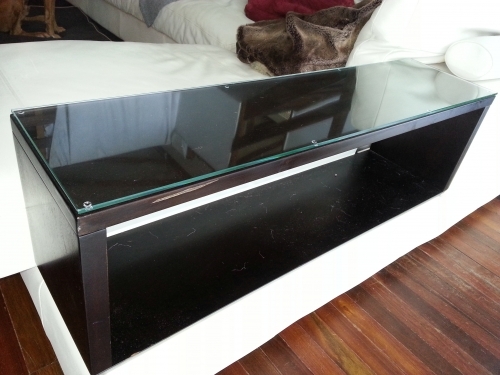 Achieve more dimensions for your tables by using top quality furniture glass from Elite Glass Services. 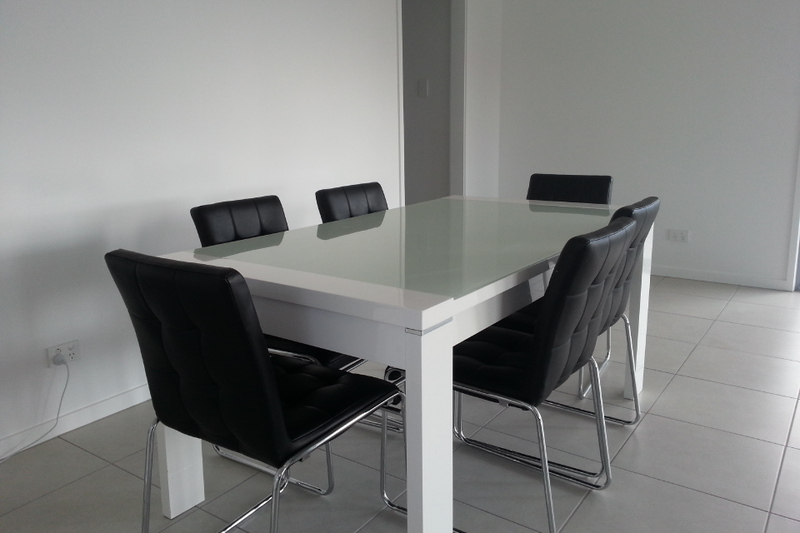 Our acid etched and clear furniture glass options are not only cost-effective and truly one of a kind in all of Coolum Beach, but also have a highly durable gloss finish that can effectively stand the tests of time with proper maintenance. Besides that, the clear furniture glass also possesses a mirror effect because of which it can reflect its surroundings. Our furniture glass can be used for tables in different residential and commercial settings, including homes, motels, hotels, hospitals, schools, universities and lounges. We supply acid etched and clear glass table tops for complimenting different types of furniture, be it a coffee table or dining table. If you need to get your tabletop replaced, we can provide top grade replacement glass for that purpose as well. All options are highly customisable and can be tailored to different shapes, including circular, rectangular, oval, hexagonal or square as per the dimensions of your model. We would even visit your household or business for getting the measurements accurately if required. New and replacement glass for tables. 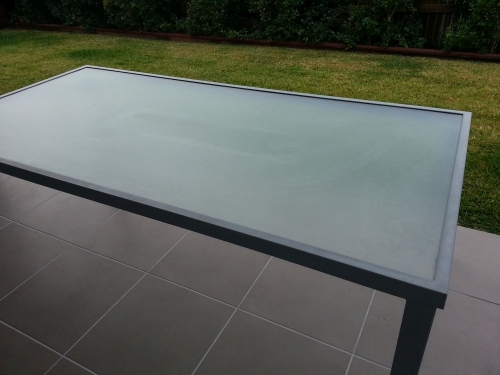 If you are looking for customised smoked glass table top, Elite Glass Services can provide exactly what you need. Manufactured with top grade glass that offer sufficient visibility, our smoked glass table tops feature diamond polished edges that are crystal clear and smooth to touch. Besides that, the product is shatterproof to a great extent and would grant you peace of mind if you have small kids at home. Elite Glass Services offers hand-finished and durable smoked table tops for indoor and outdoor tables. They are stylish, elegant, boast of crystal clarity and feature an attractive texture that can hide fingerprints and unsightly dirt. If you are planning to buy patio furniture, our smoked glass top is what you are going to need for furnishing your patio table. 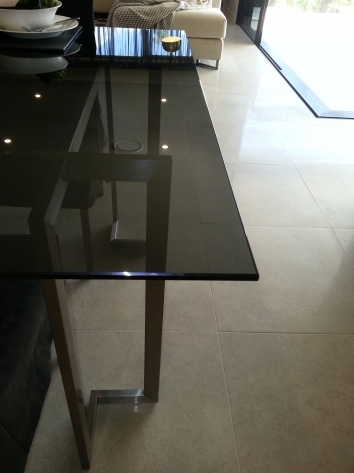 The polished and bevelled edges of the glass provide safety from corners and present a graceful appearance.